Weyburn LIvestock Exchange, Weyburn SK. One of the longest running production sales in Canada. Celebrating 21 years in 2018. ​Thank you to all of you who have purchased foals and shown interest in our breeding program. 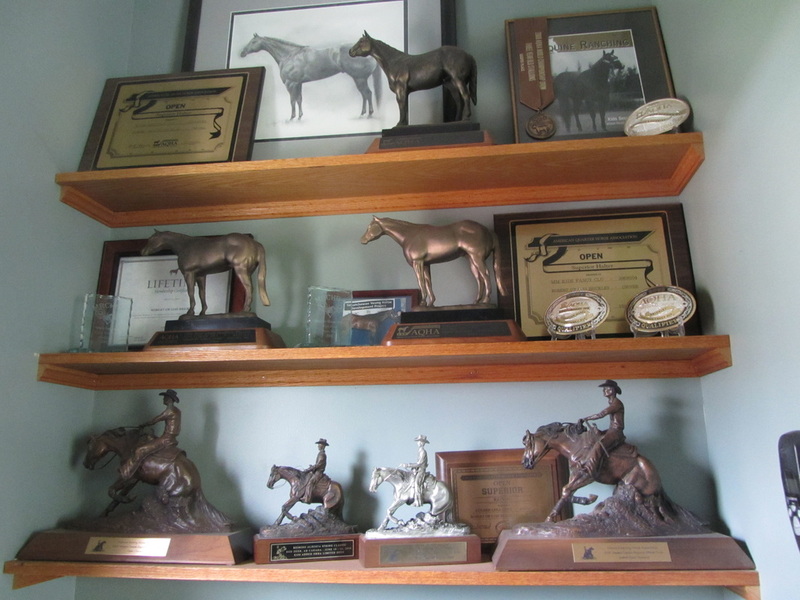 Bob & Lois Brickley pride themselves on raising quality quarter horses. With proven stock and some of the top horses in the industry, Bob & Lois believe in producing good minded, trainable, quality performance horses that have the conformation, bone, and foot for longevity; and the pedigree to suit and improve any program. Disposition is essential, so intelligent, easy to work with mares and stallions are the backbone of the breeding program. 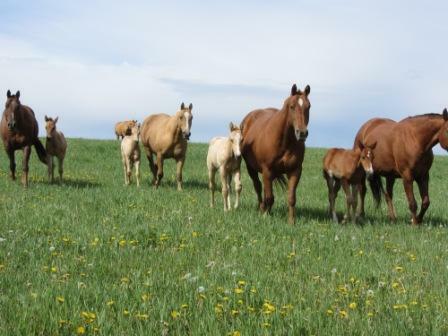 The foals born on the Moose Mountain Ranch are available for purchase at the Annual production sale, with the exception of foals that are retained for breeding. No foals are pre sold before the sale. The breeding herd is made up of mares and stallions that have been selected throughout Canada & the United States. The broodmares and their foals spend the summer months grazing the spacious pastures in the foothills of the Moose Mountains. The hills, combined with hard grass, good water, and clean air, produce well-muscled and healthy foals in the fall. Bob & Lois only bring the best to the sale, so you can buy with confidence! Check out the trophy wall for exceptional individuals that Bob & Lois have promoted.